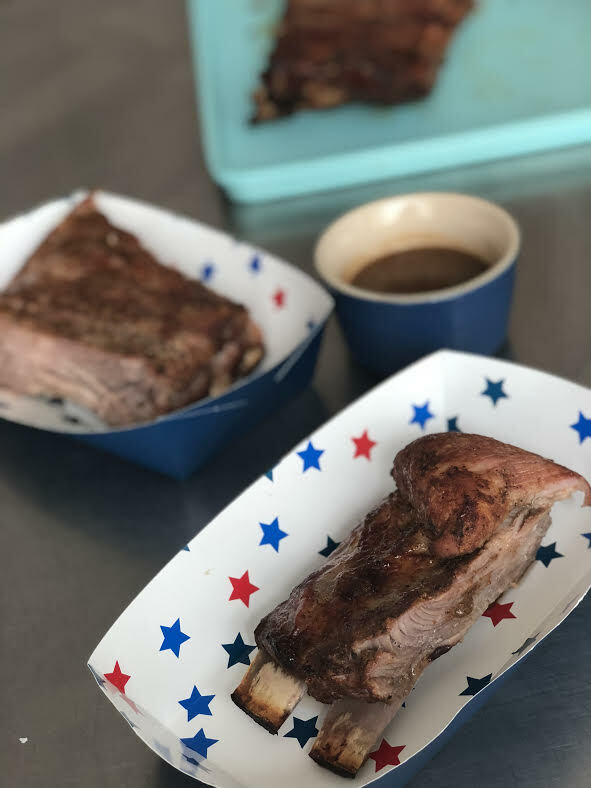 This week, I was really craving some ribs so I pulled out my Slow-cooker and went to town. 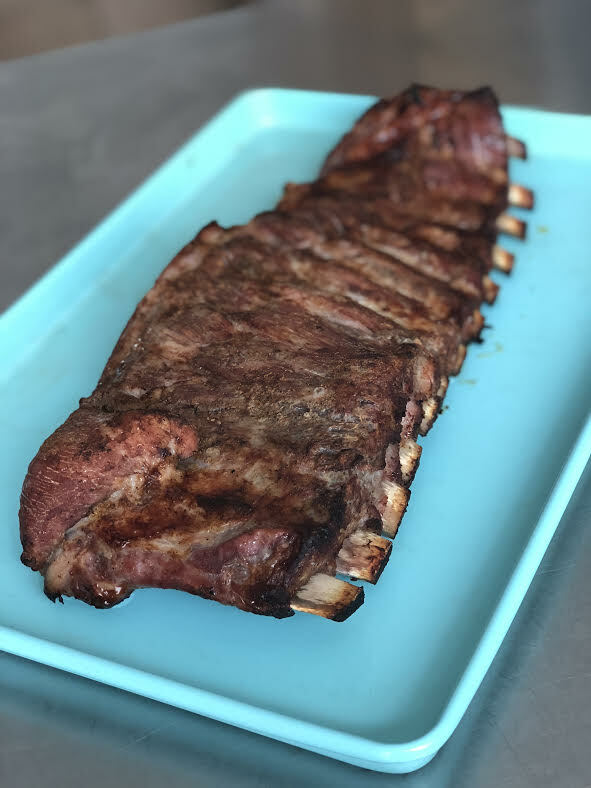 Normally we only think about using our slow-cookers for roasts or chili, but this Keto Rib Recipe is one of my slow-cooker go-to's. The original recipe can be found in The Easy 5-Ingredient Ketogenic Diet Cookbook. I use pork ribs, and sugar-free BBQ sauce from Alterna Sweets. Restaurant BBQ sauce has so much sugar in it. Alterna Sweets Sweet and Smokey BBQ sauce is low carb and all flavor. They use blend of flavorful spices and the goodness of fresh, savory tomatoes to create a full bodied taste that is reminiscent of the best BBQ joints. 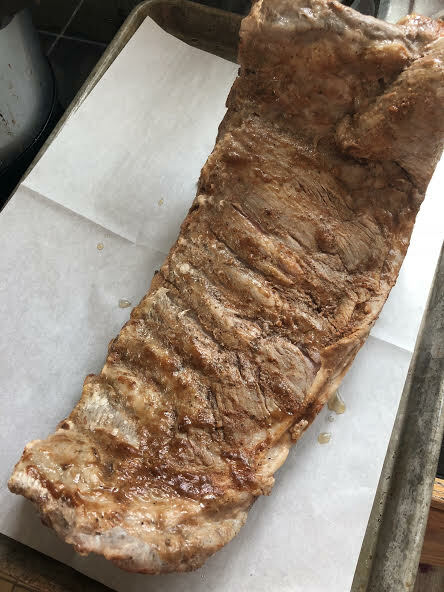 As a variation on the original recipe, which can be found in my cookbook: The Easy 5-ingredient Ketogenic Diet Cookbook, today a popped the finished ribs into the broiler for about 5 minutes on the top rack to add a little bit more texture to the meat. The original recipe suggests that you should set the slow-cooker on High for 4 hours, but if you want, you can leave the ribs in for 6-8 hours on low heat. The meat will be extra tender this way, so be careful removing them from the slow-cooker. In the Top 25 of Best Selling Cookbooks on Amazon!